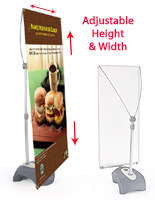 Banner Size: 27.5" x 82"
A "Y" banner stand is an affordable alternative to high-priced indoor and outdoor signage. 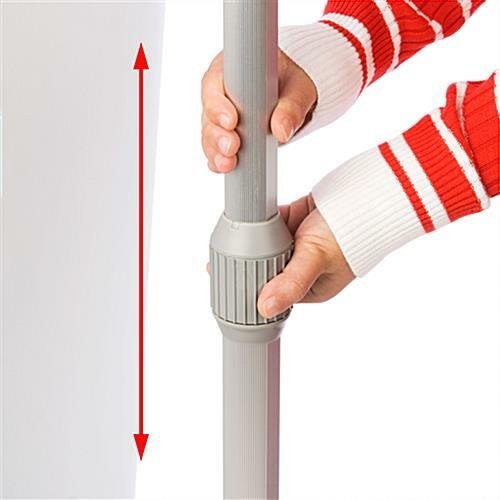 This banner stand, such as a portable display or vinyl banner holder, is made to exhibit various large format banner sizes. 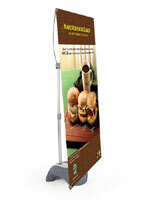 The banner stand can accommodate up to a 27-1/2"w x 82"h graphic. It also uses up a relatively small amount of floor space to display your advertisements. 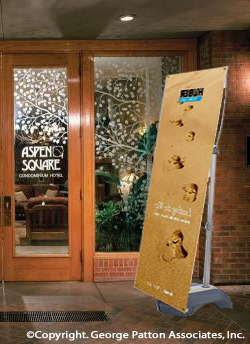 With this banner stand, you can save floor space while still generating customer interest at the same time. 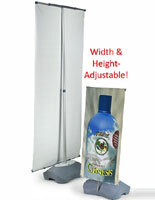 This Y banner stand makes high-impact advertising affordable. 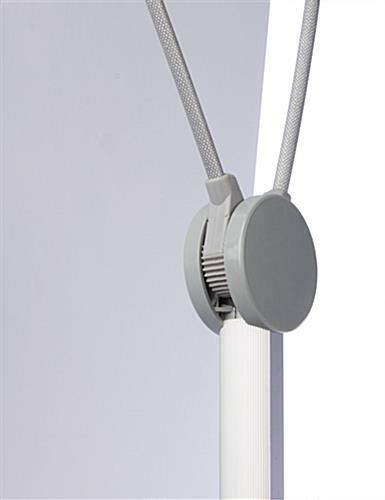 Constructed from a durable metal stand and a plastic water base, this banner stand can be used for many years to come. 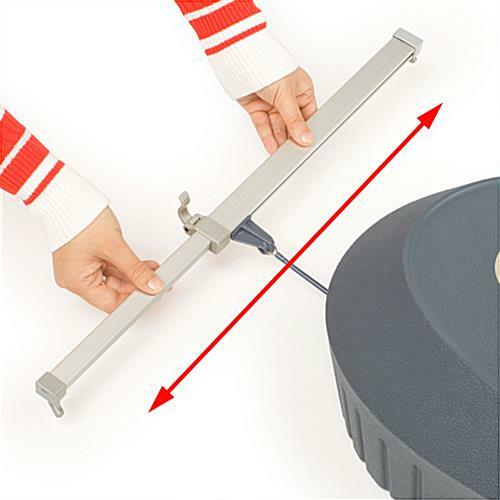 The water base can hold up to 4 gallons of water or sand, weighing down the stand for use outdoors. 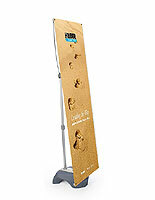 Built to be lightweight and sturdy, this banner stand can be easily carried and transported to any event or location. 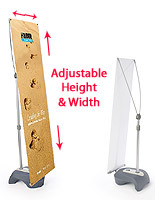 With this banner stand, graphics can be easily removed and changed in seconds! 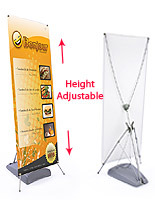 All you need to do is hook the grommets of the graphic onto the frame, and your banner stand is ready to be displayed! 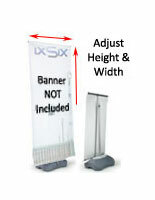 We do not include the banner stand with printed graphics. However, if you would like to purchase this stand with custom graphics, see the related products. 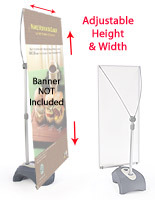 This banner stand, also known as a portable display, is shipped knocked down with easy assembly instructions included.